Derry City have arrived in Munster ahead of their crucial third and fourth place clash with Waterford on Friday evening. 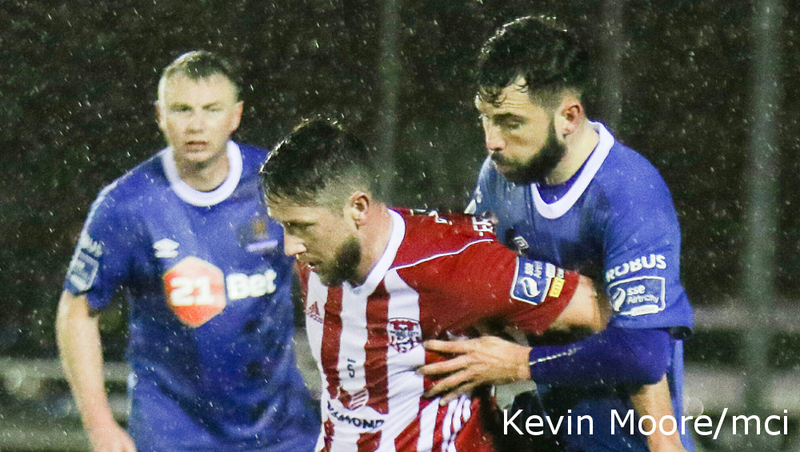 Waterford have suffered back-to-back defeats to Limerick and Dundalk in the past week, meanwhile the Candystripes come into the game off the back of a much needed win over Bray Wanderers on Monday. A goal in each half from top goal scorer (12) Aaron McEneff was enough to attain a valuable 3 points for Kenny Shiels’ side. A buoyant Shiels admits it will be tough in “their own backyard” but is hoping to build on Monday’s victory. “Hopefully we will have taken a bit of confidence from getting back to winning ways,” he said. Gavin Peers remains doubtful but defender Darren Cole and midfielder Nicky Low are expected to return to the side as Shiels looks to “start winning away from home again” in order to climb up the table and give the team more ‘momentum’ heading into the second half of the season. Follow our Twitter for live updates, like us on Facebook for half-time/full-time posts or follow the action on our Instagram story. There’s still time to get your ticket for our fundraising prize draw where you wan win a trip with the DCFC squad to our away leg in Europe, tickets are £5 and can be bought online here. Draw takes place on June 15th.